30%? 40%? 50%? Higher? I’m not sure exactly what the number is, however given the rapidly growing interest and pursuit for careers within the fitness industry, I’d assume a large portion of today’s listeners fall into this category. How did each of the coaches get their start? Is there something to be said about the words “effort” and “consistency”? What is meant by the phrase “Knowing and staying within your lane”? 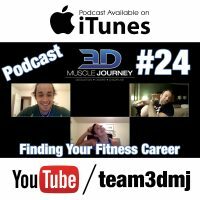 Along with answers to these questions by coaches Andrea, Alberto and Eric, the group also dive into a very in-depth look at Andrea’s journey, where she started, how she made a name for herself in the fitness industry, and how all this eventually led her to becoming a 3D Muscle Journey coach. 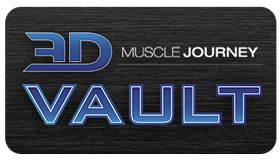 Andrea offers some very practical and timeless advice which not only worked for her then, but is also still applicable today in the ever expanding and competitive fitness industry.